If you grew up in the 1960s- 1990s, you may remember going to the local mall or record store and spending hours trying to decide on an album to buy (or cassette or CD). Malls and even most record stores are rare anymore, so today’s music lovers just download songs or watch a video on YouTube or their phones for music. The record labels don’t back their artists like the used to, if they do at all, and some albums get lost in the shuffle. A friend recently asked me what I thought were some rare underrated albums that either were missed when they came out, or just not brought up when naming some of that artist’s better works. So here are some of my most Underrated Albums that you may want to check out. I also list a few of the songs that are underrated each album. 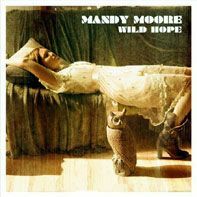 After coming off a great covers album (which you should check out as well entitled “Coverage”), Moore switched labels and released “Wild Hope” in 2007, filled with a female singer-songwriter feel to the songs. The songs were co-written by Moore while spending time in Woodstock, New York, and the songs have the coffee shop vibe to them. I was always a fan of Moore’s work, and this album proved a maturity from the Pop music (which was evident in the covers album as well). I loved the CD so much I had the original release and the Target Release with extra tracks. The songs “Extraordinary,” and “Looking Forward to Looking Back” were played on one of my former workplace’s store radio station. If Moore decides to go back to music, I hope she’d go back to this route, instead of the disappointing album she put out after this album. This is where Moore shines the most on her albums. There’s not a bad song on this release. “The Beach Boys” –The Beach Boys (1985). If you have read this blog for a while, you’ll see this album mentioned many times, being my favorite Beach Boys album. Critics say this album had too much drum machines and samplings in the songs, but it was the mid 1980s-everyone was doing it. This was the first album after the death of drummer Dennis Wilson, so the band was coming off of a tragedy. The album had a Top 30 Hit on the U.S. Charts, “Getcha Back,” and had, in my opinion, some great songs on it. This album became the groove that set the band into the “Kokomo” era, which became a smash hit for them. This album seems to be overlooked, even when Mike Love and Brian Wilson mention it in their books. This album, especially the song “Getcha Back” was a big part of my junior high years, and when I hear the song, it reminds me of my youth. The album has guests like Ringo Starr, Stevie Wonder, and Gary Moore on the tracks. 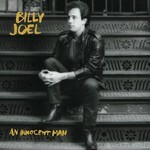 3.”An Innocent Man” –Billy Joel (1983). It’s hard to believe such a smash album is not mentioned when speaking of an artist’s work, but this album seems to be when talking about Billy Joel’s works. The album was the very first cassette I ever bought (again-childhood memories), and had hits like “Tell Her About It,” “Uptown Girl,” and “The Longest Time.” The album lost to Michael Jackson’s “Thriller” at the Grammy Awards. Joel’s tribute to the 1950’s and 1960’s Music had some great songs that some don’t think of. Every track was great and no filler. “Danger Danger”-Danger Danger (1989). This band was in the Glam Metal era which reminded me more of Warrant. When every record label was signing bands that had a blonde-haired lead singer that could sing mostly ballads, this band got lost in the mix. Some say that there are too much keyboards on the record, but it (to me) was no more or less than some of the other bands. The video “Naughty Naughty” was featured on MTV when it was released, and I remember rushing out to get the cassette the day it came out. I loved the comic book cover on the album as well. Wrestling fans will remember the song “Rock America” being used in Smoky Mountain Wrestling, being the theme for a short while of Chris Jericho and Lance Storm’s The Thrillseekers tag team. The band is still putting out music, and singer Ted Poley has several solo releases as well. This was a good glam album that was missed by many. “Henry Lee Summer”- Henry Lee Summer (1988). Summer had a hit with the song “I Wish I Had A Girl” that was played constantly when it came out in my area (the single hit #20 on the U.S. Charts, and #1 on The Mainstream Rock Charts). The first major album of Summer (he released two albums before this one) had a mix of Blues and Rock and catchy hooks to the songs. He charted higher on the Mainstream Rock Charts than on the U.S. Singles, but still had some great songs, which his next album had the song “Hey Baby” (Which hit #18 on U.S. Charts). Summer worked with many acts before his solo career, but this album is his best work, which almost every track was great. The ballad “Darlin’ Danielle Don’t” was in rotation at our school dances when it came out. 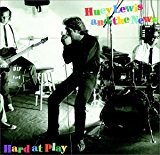 “Hard At Play”- Huey Lewis and The News (1991). After the string of hits with the albums “Sports” and “Fore,” Huey Lewis and The News was racking up chart singles, but this album started a little decline for the band, even though it went Gold and had 2 singles, the album is not mentioned by many, which is a shame because it is just as great as their other work. The bands 6th Album had the singles “Couple Days Off” (#11) and “It Hit Me Like A Hammer” (#21). This album is full of good ballads and up tempo Pop songs, just like one expects from the band. There are only 1-2 songs that aren’t my favorite. A few of the songs were played live when I saw them after this tour. I remember wearing out my VHS tape when I recorded the band on The Tonight Show performing “He Don’t Know” from this album, which is still one of my favorite songs on ANY of their albums. “A Thousand Memories”- Rhett Akins (1995). In the mid 1990s, Country Music was booming, thanks to people like Clint Black and Garth Brooks. I remember watching the TV Channel TNN, also known as The Nashville Network at the time (before going to Spike TV), and Rhett Akins was on the video shows with his song “That Ain’t My Truck,” which I fell in love with the song and the songs on this cassette, which I wore out walking through my college campus with my Walkman. I saw him live open for Reba McIntyre and Tracy Bird, and thought he was going to be a big thing (he even came through the crowd singing the first song, which at the time was rare in Country Music). Akins had a #1 hit on his next album (“Don’t Get Me Started”), but every song on this album was a great debut, including Alabama’s “Katy Brought My Guitar Back Today.” He now writes for acts like Jason Aldean, Blake Shelton, Chris Young, and Brantley Gilbert, and his song is in the business (Thomas Rhett). I really liked Akins as a songwriter and singer on this album. “My Own Best Enemy”- Richard Marx (2004). 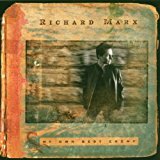 After his first three albums, some people stopped listening to Richard Marx and I don’t know why. He is still putting out some great music (I mentioned him when discussing rare Christmas Songs on this page). As much as I like his first three Albums, this one may be my favorite. The release had a darker edge to it, but still has the Pop feel (much like his song “Hazard” years before). One of the two singles, “Ready To Fly,” hit #22 on the Adult Contemporary Charts. Even though many of the songs are darker, there are still some positive lyrics on some of the songs, like “Someone Special” (Which was originally on the 2000 “Days in Avalon” CD) This is the album to study for commercial style songs about loneliness. “Lonesome Wins Again”- Stacy Dean Campbell (1992). Another album that got lost in the Country Music boom of the 1990s is this one. This album is a more traditional, rockabilly feel to it, which may have been why, but it is still great. Dean’s singles off the album hit the mid 50s on the Country Charts, and is now a writer/director for music videos and TV Shows. I remember watching his concert promoting this album on TNN, and loved playing the cassette. Full of acoustic ballads and mid tempo songs, this album is great to just kick back with and relax, especially if you like Country. This album has a Rick Nelson feel to it. Maybe you will dig deeper into these albums if you are bored with the same stuff that is out there in your collection. Feel free to subscribe by clicking the “Follow” button on the page to get updates on when the new posting comes out. It helps with the page numbers!